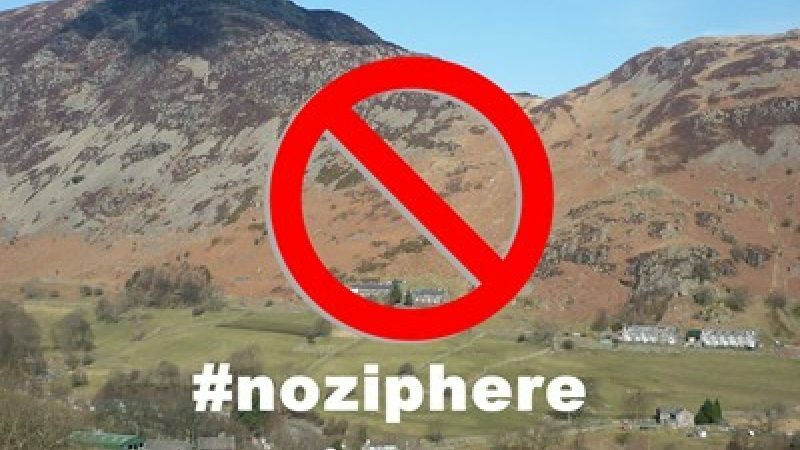 Further to the recent post about the Zip Wire proposals being scrapped in Glenridding, we thought it might be appropriate to post what the LDNPA have to say & the local community in response to Tree Top Treks statement & the LDNPA. Hats of to MT of TTT, he stood up & backed what he had said in the public meetings. He honoured his own words & backed away when he knew he was in the face of adversity. "This has been an unusual and complex potential planning application. Treetop Trek has listened to the community, taken on board the strength of feeling and announced that they no longer wish to pursue this proposal. "Our priority is to balance the need to conserve our spectacular landscape, whilst securing vibrant communities, and being open to opportunities to enhance our economy and improve the offer we have for visitors. There is no special treatment for us or any potential applicant. If an applicant had been submitted it would have gone through the normal public consultation and decision making process to assess whether or not it is suitable development for this location. "The fact this proposal involved National Park land is not an untypical situation for us or any planning authority. It would be subject to the exact same process as an application with no commercial benefit. We want to continue to work with residents and businesses to explore options to meet the needs of visitors and the community to help improve the special qualities of this valley and help boost the local economy." The village in general were not happy with this statement, as it has only come from a 'spokesperson', un-named & it does not address the feeling that the village on a whole has, now & since the Q & A meeting between the village, MT of TTT & Richard Leafe of the LDNPA. The village in general do NOT trust the LDNPA and it direction for looking after the Park, for the good of the people living here right now. It seems that RL & the LDNPA's stance might well be opening a can of worms that they might not be expecting. Glenridding zip wire proposal withdrawn. Following the official statement from both Mike Turner of the zip wire company Treetop Trek and the National Park spokesperson we would like to reiterate firstly our thanks to Mike for standing by his word and abiding by the overwhelming majority decision of our community vote against this proposal. We would also like to state that we are deeply disappointed at the lame press release from the National Park. Despite various direct and indirect communication with them throughout this process, including Richard Leafe’s attendance at the last Parish Council Open Meeting in Glenridding on the 3rd December at which over 120 of our community attended it is clear that he has learnt nothing from this experience. Richard Leafe acknowledged the widespread distrust exhibited at that meeting towards him and National Park management. He said “I will take that away with me from this meeting” but there is no sign from him or the park management on how they are going to address this very serious issue. Whilst his position may be very onerous and challenging particularly in the face of Government cuts, he cannot succeed without the public behind him. What is becoming abundantly clear is that there is a real danger that Mr Leafe is taking the Lakes in the wrong direction, and what our campaign demonstrated is the need to look again at the whole purpose of the park, the governance structure and the way in which those responsible for the governance of the park are appointed and judged. It is time now, we believe, for a wide ranging debate and central to this are a number of questions that need addressing: How many other communities within the Lake District are also distrustful of national park management? Is it time for a top down restructuring and change in personnel? Is it time for Government to address the role and structure of the Lake District national park authority?" 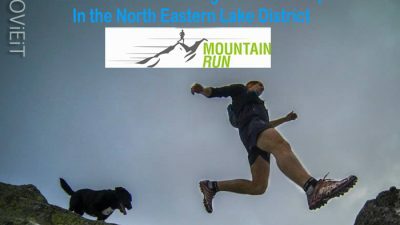 So we'll leave the discussion here right now, as MountainRun is certainly not a reporting website, interested in media, it just happened that the issue here was very close to our heart & we felt it right to not only report on Mike Turner's statement, but the LDNPA & that of the village of Glenridding. It looks like there might well interesting times ahead, but we're going to keep on running, in the mountains & hope the winter of 2014/15 is as good as any. As I type the 'edges' of Helvellyn are being stripped of snow, by warm temps, South Westerly air streams & sheeting rain. Hopefully it will survive in the gully's and when the weather gods decide to turn the cold on again, everything will shape up for great winter running, perfect skiing & amazing climbing conditions. We'll be adding regular conditions reports for the Helvellyn Massif & further afield in the Lakes, as and when we get out, so watch this space for 'Running, Skiing & Climbing Conditions Reports' throughout the winter months. See you on the Fells!